There aren't a lot of all-wheel-drive convertibles on the market – but most of them come from German automakers. In fact nearly all of them come from the Volkswagen Group portfolio: the Audi A5, TT and R8, the Porsche 911, Bentley Continental GTC, Lamborghini Gallardo Spyder and Bugatti Veyron Grand Sport. But BMW is not about to let its arch rival keep that entire market – however small and specific it might be – all to itself. And to that end, it has just made the 2012 6 Series available with its xDrive all-wheel traction system, as evidenced by its appearance as an option on BMW USA's website. Of course, this was an expected move. 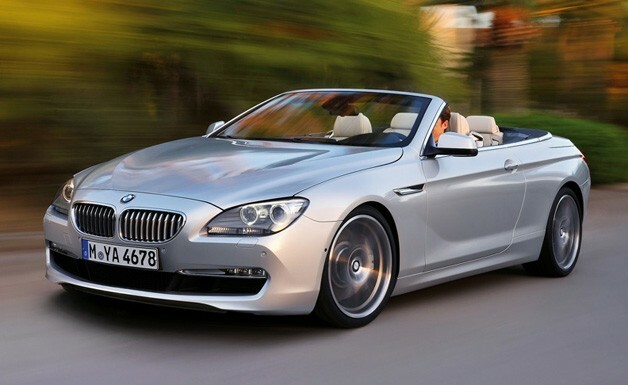 While it was at it, BMW has also made the system available on the fixed-roof 6 Series coupe as well. xDrive is a new feature for the 650i, joining a larger segment that includes a wider variety of challengers including the Cadillac CTS, Infiniti G37 and BMW's own 3 Series, which offers xDrive as an option on sedan, wagon and coupe models, albeit not on convertibles.